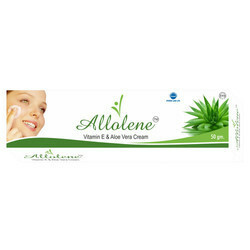 Leading Manufacturer of allolene aloe vera cream, dipsee gel, athoderm gel, beol cream, 15g dany cream and athocon cream from Kala Amb Industrial Area. Aloe is a cactus-like plant that grows in hot, dry climates. In the United States, aloe is grown in Florida, Texas, and Arizona. Aloe produces two substances, gel, and latex, which are used for medicines. Aloe gel is the clear, jelly-like substance found in the inner part of the aloe plant leaf. Aloe latex comes from just under the plant's skin and is yellow in color. Aloe extract 10% w/w, Vitamin E Acetate 0.5% w/w moisturing cream base q.s. Restores elasticity and remove wrinkles. Replaces dead cells and increase the rate of recovery in chronic conditions. Helps in removing stretch marks with each application. 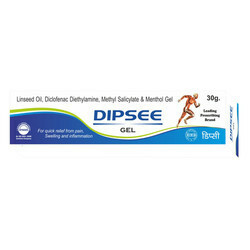 Composition:Linseed oil3.0%,Diclofenac Diethylamine 1%,Methyl Salicylate 10%, Menthol 5%,Benzyl Alcohol 1%. Composition: Clindamycin Phosphate eq. to clindamycin1.0% w/w,Gel base q.s. Luliconazole:-Luliconazole is an effective antifungal medication used to treat skin infections such as athlete's foot, jock itch (fungal infection in the groin or buttocks), etc. caused by fungi. This medicine is not recommended for use in patients less than 2 years of age. Ketoconazole:-Ketoconazole is used to treat skin infections such as athlete's foot, jock itch, ringworm, and certain kinds of dandruff. This medication is also used to treat a skin condition known as pityriasis (tinea versicolor), a fungal infection that causes a lightening or darkening of the skin of the neck, chest, arms, or legs. Composition: Mometasone furoate 0.1% w/w, FusidicAcid 2% w/w. Mometasone furoate:-This medication is used to treat skin conditions such aseczema, psoriasis, allergies, and rash. Mometasone decreases swelling (inflammation), itching, and redness. Mometasone is a medium-strength corticosteroid. This medication is available in several forms including cream, ointment, and lotion (solution). Packaging Details: The packaging of this comes out to be in the form of 10gm of tube inside the box. Clindamycin Phosphate:-This medication is used to treat acne. It helps to decrease the number of acne lesions. Clindamycin is an antibiotic which works by stopping the growth of bacteria. Nicotinamide:-Nicotinamide is mostly used as a dietary supplement. It is a type of vitamin that is used as medication. Nicotinamide can be taken orally. The medicine is also available in the form nicotinic acid to treat niacin deficiency diseases like pellagra. In the cream form, it is beneficial for the treatment of acne and other kinds of skin inflammation, as the medicine has anti-inflammatory properties. Nicotinamide is known to effectively decrease the sebum excretion. The medicine also comes in a gel form for easier application in hot, humid environments.